The Xeric fleet with new branded livery. 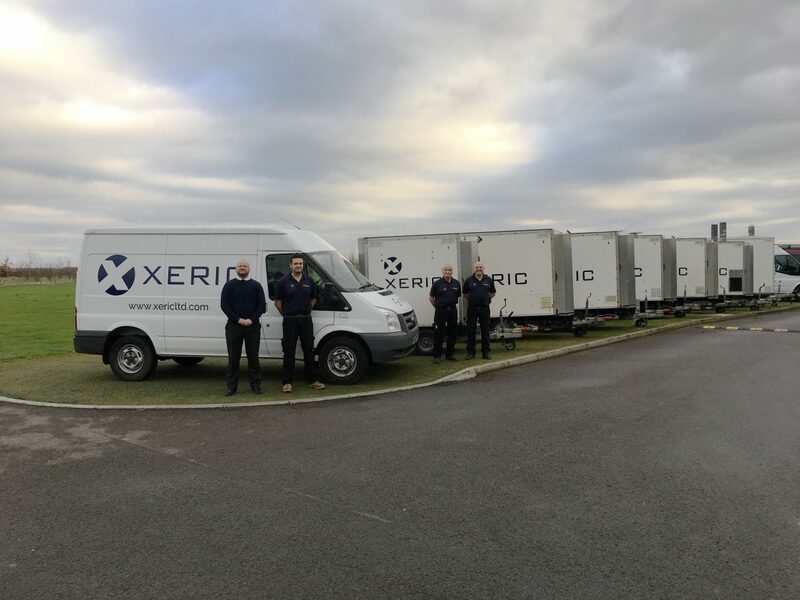 Xeric, part of the Gelder Group family of businesses, has unveiled its new brand identity which it will be proudly showcasing on its vehicles, trailers and workwear. Xeric operates trailer mounted boilers that provide structural heat to dry domestic and commercial properties and eliminate pests. The rebrand is part of the firm’s wider growth strategy and as well as the new identity, the company has invested in more vans, re-configured the trailers to improve efficiency and provided new workwear for its team. Myself and the Xeric team are really pleased with our new branding; its modern, fresh and better reflects Xeric as a business. We are proud of the services we offer and our professional approach and this investment into the Xeric brand and other elements of the business is not just about our corporate identity, but also our values and where the business is going. Xeric is enjoying a period of development and expansion and our new brand will help us to continue on this upwards trajectory.